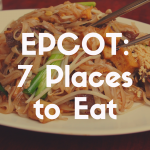 Snacks and theme parks go hand-in-hand, and Disneyland is certainly filled with opportunities for quick eats. 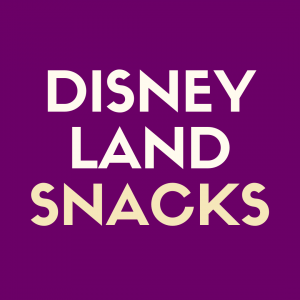 Whether you are considering snacks as part of a larger budget or replacing meals to tighten your belt for your Disney vacation, the delicious munchies are a great option. Plus, they will be devoured by everyone in the family! While you can see snack carts by just meandering around the parks, it’s best to know what is available regularly and seasonally. Plus, it’s nice to have an idea of where to head first when you get to the park to grab your favorite bite. 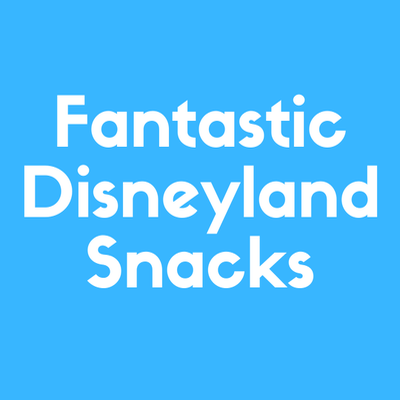 In this post, you’ll find some classic snack options (that happen to be my favorites) as well as seasonal delights in Disneyland Resort that will tempt you no matter when you’re visiting! Helpful Tip: Before we dig into the snacks, you need to know about The Disneyland Resort Mobile Application! It’s important for foodies because of the Mobile Order feature, available at several quick service dining options in both parks. Choose a timeframe (either immediately or ahead of time) in which your party will pick up its food. Also, you can use the food filter on the map in the app to quickly identify carts and restaurants that use Mobile Ordering. Be sure to download the Disneyland App for the most up-to-the-minute tracking of attraction wait times, showtimes, character visits, and more! From cotton candy to hot dogs to coffee, the classic snacks of Disney can be found just about anywhere in the park as long as there is a cart. Nonetheless, this food group deserves to be highlighted, especially since you’ll see the latest merchandise featuring the whole snack crew (don’t forget to check out the stores!). You know them, you love them, and yet they seem so rare outside of theme parks. Plus, the cinnamon-sugar fried goodness of churros is always better in the middle of the Disneyland experience! Feel free to play with your food by taking fun pictures with your crew using your churros as magical wands or intense lightsabers! Churros can be located at a variety of locations throughout both Disneyland Park and Disney California Adventure Park. Never fear, though, as here’s a list of where to look for them throughout your visit! Hollywood Land near Monsters, Inc. Mike & Sulley to the Rescue! Pixar Pier at Señor Buzz Churros* near Toy Story Midway Mania! Believe it or not, churros can even be purchased at two establishments with seating! *Señor Buzz Churros is the only consistently “specialty” churro cart. They carry the Caliente Churro (spicy) in addition to the regular cinnamon-sugar churro. The spice is remarkably similar to the flavor of Red Hots. Be sure to read on for the seasonal churro flavors! Plus, check online for ongoing food events (like the 2019 “Get Your Ears On” Food Guide). What would a day at Disneyland be without a sweet treat? Bite into a chocolate-coated vanilla ice cream treat shaped like Mickey anytime at the parks! Plus, it makes for a great photo opportunity as a classic snack, especially when paired with “ice cream” ears (check out hat shops around the park to get a pair!). Find your Mickey’s Ice Cream Bar at any ice cream cart in both parks. Because they are mobile, you may find their locations change just slightly, including trips along the parade routes. Look for blue carts under an umbrella in each land — they are usually near attraction entrances or next to other carts. If you are waiting for a parade, be sure to grab one of these sweet treats from the Cast Member walking the parade route! With options of classically salted, spicy jalapeño and cheese-filled or sweet, gooey delicious cream cheese-filled pretzels throughout the parks at DLR, you’ll never go wrong with this snack! Plus, you can get them in the shape of Mickey’s face for great photo ops. You’ll even be amazed by the sheer size of them — almost as big as your face! — making them a great treat to share. Don’t forget to ask for a dipping sauce (often sold separately) or pick up mustard where available. Pretzels are sold at several locations in both Disneyland Park and Disney California Adventure Park. Be sure to keep this list with you to quickly find a location! *Refreshment Corner continuously offers all three flavor options in addition to other snacks. Check it out for a variety of flavors to suit the whole group’s preferences! **These locations sell alcoholic beverages, namely California beers and wines, that may be consumed in the park per DCA regulations. As you stroll along the various paths in Disneyland, you’ll smell the rich, tempting turkey legs roasting at several carts and kiosks. Seasoned to perfection and slow-roasted, these smoky, cured meat treats will have you drooling! It’s certainly a classic you will not want to miss. Though you may see people gobbling up these turkey legs just about everywhere in the park, there are only a handful of locations to actually pick up one. Luckily, it’s easy to move around and keep walking the park with a leg in hand! Pixar Pier at Poultry Palace near Toy Story Midway Mania! Throughout DLR, you will find “site-specific” snack, meal and beverage options. Disneyland Park is no different, especially as the original Happiest Place on Earth! While it was hard to narrow down the top snacks, the following are truly unique and not sold anywhere else in the resort. Plus, they harness classic and adventures Disney-only flavors! Located in Adventureland Park across from the entrance to Indiana JonesTM Adventure, Bengal Barbecue fills the air with the delicious flavors meat and vegetable skewers. And as grand as their menu is, the best snack overall is the Tiger Tail Breadstick. The fresh dough is baked with garlic and herbs then topped with sharp cheddar cheese, making it a delicious snack all on its own. Tiger Tails are fairly large, taking up a whole plate in length, and they are usually pretty thick and fluffy. While they are a great size for one, they also make an easy-to-share treat! Bengal Barbecue sells a variety of snack-type foods and drinks. Choose from chicken, beef, pork or vegetable grilled skewers, each with its own special seasoning or sauce like Polynesian, Zulu and Hot & Spicy. You can even choose to make a quick lunch by pairing a Tiger Tail with any skewer, which will round your total tab around $10 (skewers run about $6 to $7). If you prefer to pair your doughy treat with a drink, this kiosk has plenty of choices! Keep it simple with a Coca-Cola® fountain beverage, or be adventurous with a Jungle Julep (citrus slush drink featuring pineapple, orange, lemon and grape juices) or seasonal lemonade. You can even make it a late-night adventure during nighttime spectaculars and pair your Tiger Tail Breadstick with hot cocoa, hot tea or coffee. As you cruise along the Rivers of America toward New Orleans Square, you immediately inhale the delicious scents of food cooking. And when that makes you hungry, you’ll want to head to the Mint Julep Bar on the backside of French Market Restaurant. To get to the bar portion, you can either curve up toward Blue Bayou Restaurant and follow the path past the bathrooms — when you see the covered patio and a long line next to the kiosk’s sign, you’ve found the place! If you’re coming from Critter Country or Haunted Mansion, curve along the mansion’s line toward the train station. Walk just a little past the station’s entrance along the covered patio seating area until, once again, you see that line at the Mint Julep Bar. Additionally, if the bar is under renovation or close, you can head into French Market Restaurant for at least the Mint Julep! At the Mint Julep Bar, you can purchase either a 3-pack or 6-pack of Mickey-shaped “classic” beignets. Ideal treats to gobble up yourself or share with the whole party, these doughy, powder sugar-coated will transport you to the south. Plus, you can opt for the seasonal flavor! Butterscotch beignets, also available in 3- or 6-pack options, came on the scene in 2019, and more flavors are expected to make their way to the Mint Julep Bar for holidays and celebrations. Of note, you can make these a breakfast snack. That’s how they were intended to be eaten, anyway! Mint Julep Bar opens at Disneyland Park open daily, so make a bee-line to grab a bite and hop on some of the biggest name attractions in the park, including Haunted Mansion, Indiana JonesTM Adventure, Splash Mountain, and Big Thunder Mountain Railroad. What is a Mint Julep? The New Orleans Mint Julep is a Disneyland classic. Not only does it pay homage to the southern roots that inspired New Orleans Square, but it can also only be found in that park at DLR. When you order the Julep, you’ll receive a bubbly green-ish drink topped with a mint leaf, lemon wedge and a couple of cherries. Your first sip will be a little piece of heaven! Enjoy the refreshing mint taste with a hint of sweetness and squeeze of citrus tanginess. It’s truly the best drink in the park! Pair it with some beignets for an ideal snack any time of year. Of note, you can order a Mint Julep in both French Market Restaurant to pair with a larger meal or at the Mint Julep Bar for quick service. It is also available at Blue Bayou Restaurant as part of a sit-down meal. Plus, rumor has it, the Julep may make its way to Star Wars: Galaxy’s Edge as an alcoholic edition in Oga’s Cantina. Stay tuned for that come May 31, 2019! Escape to paradise with a classic Dole Whip soft serve treat featuring Dole pineapple juice! Journey to the latest addition to the pineapple cuisine family, The Tropical Hideaway, located behind Walt Disney’s Enchanted Tiki Room and next to The Jungle Cruise. Or, if you want to enjoy this deliciously sweet treat while catching a show, hit up the Tiki Juice Bar at the Tiki Room entrance. You’re even allowed to eat it while you watch the birds and the flowers sing! 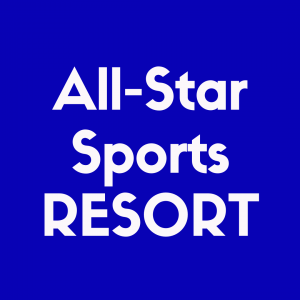 Note that both dining establishments open shortly after park opening. Of note, the Hideaway features an outdoor seating area whereas the Bar does not. However, you can eat your Tiki Juice Bar treats in the Enchanted Tiki Room. All options are in Adventureland. A regular Dole Whip soft-serve features a tall pile of pineapple-flavored ice cream that is ideal for sharing. Be sure to ask for extra spoons! Try a Dole Whip Float at either location. It features the original soft-serve with pineapple juice poured over the top in a larger cup. You’ll definitely want a couple of straws to share this delight! The float runs about $7. For those who don’t want ice cream, choose a Dole pineapple juice. Available only at the Tiki Juice Bar, this delicious juice is a refreshing start to the day or pick-me-up. Feeling really hungry? Have a bigger sweet tooth? Check out the variety of options at The Tropical Hideaway featuring Dole options. Whether you want classic Vietnamese Bao, a pineapple spear, or a sweet treat, this establishment has much from which to choose. On the dessert menu, you’ll find Sweet Lumpia, a treat featuring cream cheese, Dole pineapple pieces and a pineapple dipping sauce. Additionally, you can swirl your regular soft-serve choice with either orange or raspberry. Choose the “big one” when you pick the Loaded Whip with the pineapple-orange swirl soft-serve, exotic fruit pieces, and crystallized hibiscus! Prices for these additional treats range from about $6 to $8 dollars. However you like your Dole pineapple, whether as a whip, a juice or a mixed dessert, you can enjoy exclusive options in Disneyland Park! Let’s start off with Schmoozies! Smoothies and Treats. For the health-conscious Guests of Disneyland, head straight to Hollywood Land in DCA. Open just after the park gates open, Schmoozies! features delicious coffee options and smoothie delights. 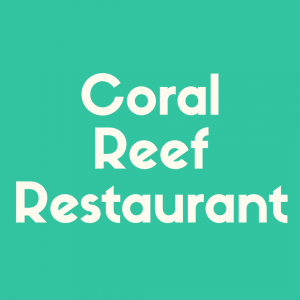 Their options are ideal for everyone in the family and include seasonal specialties. Smoothies at Schmoozies! feature mostly fruity flavors that range from tropical fruits to classic blends. There is also an energy-infused mocha option that features less healthy (but still tasty) chocolate sauce and whipped cream. Fruit smoothies use lowfat yogurt and fruit juices. This is also the only location in either park where you can opt for a healthier alternative of fruit smoothies. When you are looking for a quick bite with a touch of sweetness, Schmoozies! has seasonal lemonade. Ask about the available flavors upon ordering. And if you want something a little more exotic, try your lemonade with a scoop of vanilla ice cream! It’s a perfect treat for one or for all. While there is a Starbucks in the park, the coffee options at Scmoozies! are pretty epic. You can enjoy a regular espresso shot, a regular coffee, a flavored latte (i.e., hazelnut, Irish cream, almond, vanilla, caramel), a mocha or a cappuccino for (usually) a bit cheaper than heading to the name-brand shop. Plus, if you are craving something sweet, you can order an Affogato espresso “float” featuring hand-scooped vanilla ice cream. Moreover, iced coffee and non-coffee options are available, making the kiosk a one-stop-shop for everyone in the family! Designed just like the Cozy Cone Motel in the Cars series, this dining establishment not only makes for iconic pictures but features some of your favorite treats, as well as a few Cars Land-specific snacks. When you pull up to the Motel in Cars Land (walk about half-way into the land), you’ll see five bright orange (giant) cones. Each one features a different menu, so be sure to pay close attention! Note that the cones are numbered from left to right when looking at the queues from the main street. Also, you can catch some of the most beloved Residents of Radiator Springs at the lobby of the Motel! Pick up a classic cinnamon-sugar delight along with dipping sauce and a drink! Drinks include assorted fountain beverages, regular or decaf coffee, hot cocoa (including a featured cinnamon-spiced option) or water. You can also pick up the latest Souvenir Sipper Cup! This sweet treat is a unique carbonated drink featuring pear flavoring. Choose from vanilla, chocolate, or swirled soft-serve treats at Cone 2! Want a topping? No problem — ask the Cast Member what’s available that day and add it to your perfect sundae for about $1 more. Beverages featured are water and fountain drinks. You can also pick up the latest Souvenir Sipper Cup! Not only do you get to keep the cup, but you get to enjoy a yummy dessert featuring classic root beer and vanilla soft-serve! Pick between Chili Cone Queso, a beef-based chili (vegetarian is available upon request) topping corn chips in a bread cone coated in cheese, and Bacon Mac ‘n’ Cheese, also served in a bread cone. Forget the plates when you opt for these all-in-one snacks! These are perfect to share as they are quite large. If you like kids’ food, the mac ‘n’ cheese is a great adult-style version that you can still share with your little one. Don’t forget to check out the latest seasonal cone! Beverage features are unique at Cone 3. While there are the regular fountain drinks and water bottles, there are also some groovy options (see below). Plus, you can also pick up the latest Souvenir Sipper Cup! For the kids in your group, these delicious lemonade drinks are the perfect amount of refreshing and sweet to follow a meal. Adults can enjoy these tasty alcoholic treats featured only at Cozy Cone 3. Don’t forget to present ID to confirm you are 21+. For an easy on-the-go snack, pick up from Cone 4. You can choose savory cheddar garlic bagel twists or pretzel bites with cheese sauce. If you want something sweet, opt for the chocolate twist. All the flavors on this menu are inspired by doughy delights infused with rich flavors, making it an ideal stop for everyone in your party. Don’t forget you Minute Maid® Frozen Lemonade and Souvenir Cup! Enjoy an apple-flavored slushie either in a regular throw-away cup or a unique Souvenir Cup! Skip the regular popcorn and opt for something with a kick of flavor! At Cozy Cone 5 only, you can choose from butter (classic) or one of several exciting tastes. Pick from buffalo ranch, dill pickle, garlic parmesan, pizza, Sriracha or white cheddar. Sizes for popcorn are either a “scoop,” served in a paper cone, or a bucket. The best part about the latter is it’s a Lightning McQueen Souvenir Bucket! You can also purchase water or a fountain drink. Don’t forget your Souvenir Sipper! It’s a twist on traditional grape soda! DLR features unique seasonal treats year-round. While events come and go, these standards return each year. Often, you’ll see new additions, too! Be sure to look out for updates to classics like churros, hot chocolate, candy apples, beignets and sourdough loaves! As ghouls and ghosts, witches and monsters, and all the costumed character friends emerge, so do delicious treats! In both Disneyland Park and Disney California Adventure, you will find shocking changes and additions that take your treats from delightful to sinister. Don’t forget to visit select Dia de los Muertos sections in both parks for extra treats! 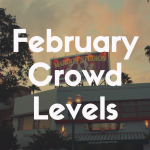 For a full look at what was offered in 2018, click here. Also, for the Nightmare Before Christmas fans out there, be sure to keep one eye open for select Jack Skellington, Sally, Zero and Oogie Boogie souvenir food items (i.e., sipper cups, popcorn buckets). Some products will last through Christmas time, too! Only days after Halloween Time, the parks will transform into a Winter Wonderland! Along with the change in decor, you’ll see a change in menu options. Plus, the treats will feature a lot more red and green! Holiday time brings a round of Thanksgiving flavor specials and Christmas flavors. You’ll also have the opportunity to delve into classic “fiesta” flavors in both parks with featured “Feliz Navidad” sections! For 2018 featured snacks and meals, click here. With all of the events and seasonal changes that pass through Disneyland Resort, it may be no surprise that kiosks pop up to serve new and exciting treats! Located throughout Disney California Adventure from the end of Buena Vista Street through Paradise Gardens Park and at a few other select locations, the Festival Marketplaces are kiosks that feature small plates, specialty alcoholic beverages and unique dessert options. Note that the price range varies from kiosk to kiosk. Most food dishes are under $15 with desserts running on the cheaper side of about $5. Alcoholic beverages are also available and will be priced around $12 or so. Be sure to visit during seasonal events and look for Sip and Savor Pass options! The pass allows you to try up to eight dishes for one flat price, usually over $50. Note that adult beverages are excluded from the pass, but you can choose from anything else at each kiosk! Celebrated annually during the traditional Chinese New Year (January to February), DCA participates in the rich traditions of several Asian cultures. Of particular note is the food! Try traditional dishes from China, Vietnam, Thailand and more at the Festival Marketplaces. For the latest menu options, check in here. Past specialties have included bao, rice bowls, mochi and drink specialties. Enjoy the unique tastes of California at the DCA Food & Wine Festival. Each year (March to April), the park brings in vendors and new recipes to share in the Marketplace. Sample from local California produce, including avocado, citrus and artichokes, in a variety of dishes. Sip on local wine and beers or opt for uniquely blended cocktails. There are even mocktails for anyone to sample! For the latest happenings, click here. You can also check this site for annual menus. From Christmas time through New Year’s, join Disney’s festival of food at DCA! The Marketplaces are not only beautifully decorated, but they are serving up traditional holiday food from around the world. Enjoy the tastes of Navidad (Latin foods), Weihnachten (German delights), Buon Natale (Italian options) and classic American Christmas flavors. Drink specials feature pumpkin spice, peppermint and cranberry flavors. You can even find spiced eggnog! For the latest menu updates, check in here. If you prefer on-the-go alternatives for meals, utilizing the numerous carts and quick-service vendors throughout DLR is a great option. 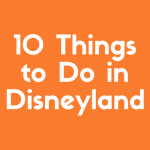 While these experiences are not necessarily thematic (other than being “Disney”), you can regularly pick up seasonal and special event treats while hustling from attraction to attraction when you opt for snacks in Disneyland! Most carts feature beverages and food, so you can be sure to stay hydrated and full all day. Here’s the comprehensive list of park kiosk and cart quick-service options.